Television is generally thought of as a producer and writer's medium, but Waris Hussein is that comparative rarity: a director-for-hire whose work, especially on the small screen, has a constancy of theme and approach that mark him out as a true auteur. 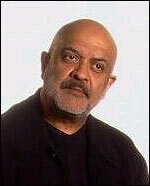 Born on 9 December 1938 in Lucknow, India, Hussein moved to the Britain at the age of nine. After studying at Eton , Cambridge and the Slade School of Fine Art , he briefly worked as an actor before being accepted on the BBC directors' training course. Placed under long-term contract, he made his directorial debut on the soap Compact (BBC, 1962-65) but only gained real recognition after helping to launch Doctor Who (BBC, 1963-89; 2005- ) in partnership with neophyte producer Verity Lambert . Hussein was instrumental in selecting the original cast and establishing the template for the show by directing the pilot story 'An Unearthly Child' (tx. 23/11/1963). This already contained many characteristics that would recur throughout his work: elaborate tracking shots, a fondness for depicting protagonists isolated from their surroundings and a special interest in female psychology. This is particularly evident in 'A Passage to India' ( Play of the Month , tx. 16/11/1965). One of his few works to directly address his Asian heritage, it depicts with typical sensitivity the plight of outsiders on both sides of the racial divide. With the expiration of his BBC contract, Hussein was free to move into feature films, starting with A Touch of Love (1969), Margaret Drabble's moving story about a single mother, featuring a gratifyingly unmannered performance by Sandy Dennis . This was followed by the eccentric but warm-hearted comedy Quackser Fortune has a Cousin in the Bronx (US, 1970), the box-office hit Melody (aka S.W.A.L.K. , 1971) which re-united Mark Lester and Jack Wild from Oliver! (d. Carol Reed, 1968), and The Possession of Joel Delaney (1971), an unusual and intriguing New York-set horror tale that was barely released. Like so many British films of the 1970s, Henry VIII and his Six Wives (1972) was made to capitalise on the success of a television series ( The Six Wives of Henry VIII , BBC, 1970) and proved to be his final cinema project for 25 years. Disappointed by the parlous state of the British film industry, Hussein returned to television as a freelancer to concentrate increasingly on stories about strong women making a stand in society. Seen at its most subtle in the underrated 'Love Letters on Blue Paper' ( Play for Today , BBC1, tx. 2/3/1976), this theme was explored with vigour and intelligence in such varied works as 'Hedda Gabler' ( Play of the Month , BBC1, tx. 10/10/1972), Notorious Woman (BBC, 1974), about the unconventional writer George Sand , and Shoulder to Shoulder (BBC, 1974), a complex look at the suffragette movement. It is even crucial to 'Rachel in Danger', a serial about a young girl for Armchair Thriller (ITV, 1978-80). Hussein shared directing duties with Robert Knights on Frederic Raphael's ironic saga The Glittering Prizes (BBC, 1976), but was in complete control of Edward and Mrs Simpson (ITV, 1978), probably his greatest success of the decade and a masterful dissection of the 1930s royal cause célèbre. After plans to adapt Paul Scott's novels Staying On and The Raj Quartet for producer Irene Shubik fell through, Hussein moved to Hollywood. The TV films and mini-series he made there fall into a broad genre spectrum: Callie and Son (US, 1981), featuring a young Michelle Pfeiffer , is clearly patterned after Michael Curtiz's classic melodrama Mildred Pierce (US, 1945), while in The Face on the Milk Carton (US, 1995) a teenager discovers that she was actually kidnapped as an infant and that her 'parents' aren't even related to her. Copacabana (US, 1985) features Barry Manilow in an engaging semi-tragic homage to the 1940s musical. Hussein's best American work, though, lies in the many emotional family dramas he has made as vehicles for Colleen Dewhurst , Lindsay Wagner , Angela Lansbury and Melissa Gilbert , all of whom he worked with on multiple occasions. Hussein has frequently returned to the UK for such projects as Arch of Triumph (ITV, tx. 19/12/1984) starring Anthony Hopkins , and Intimate Contact (ITV, 1987), one of the first British dramas to address the AIDS crisis. His great rapport with actresses is well in evidence in 'Clothes in the Wardrobe' ( Screen Two , BBC2, tx. 17/1/1993) an amusing companion piece to 'A Passage to India' starring Jeanne Moreau , Julie Walters and Joan Plowright . Hussein made a triumphant return to the cinema with Sixth Happiness (1997). His ability to balance a story containing many abrupt tonal shifts from jollity to sadness pinpointed his great dexterity and tact, marking the film as amongst his most important and fully realised efforts. In 2005 Hussein returned to acting to play the maharajah in the ribald comedy Mrs Henderson Presents (US/UK, d. Stephen Frears).